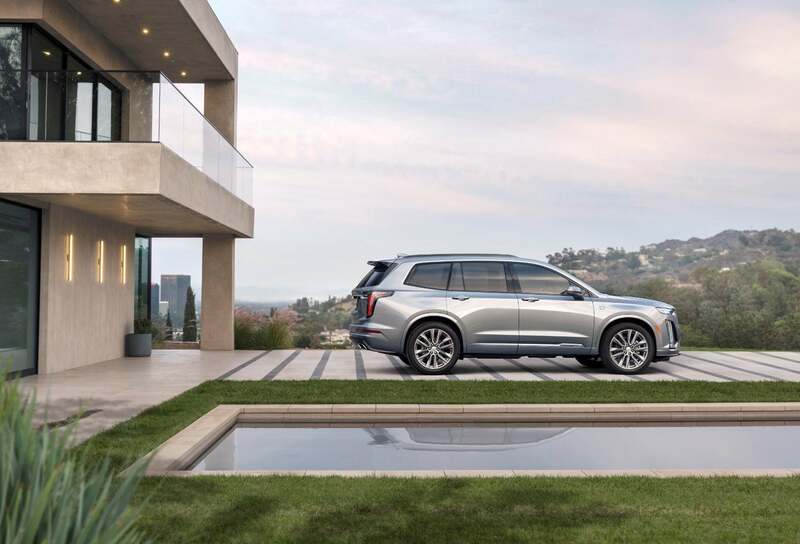 The 2020 Cadillac XT6 is a three-row crossover with a laundry list of safety features. 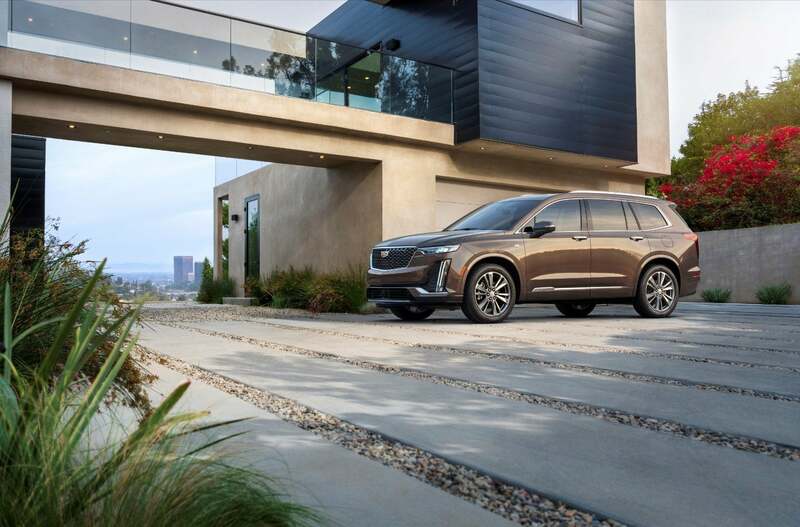 Cadillac says “thoughtful technology integration” is central to the 2020 XT6. 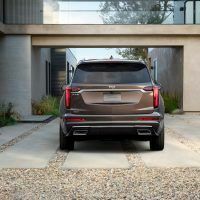 It’s larger than the XT4 and XT5, but still smaller than a new Escalade. 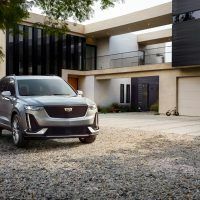 The 2020 Cadillac XT6 crossover/SUV had its global debut at this year’s Detroit Auto Show. And all I can say is you better get used to seeing a lot of these around. Not that Caddy was or ever will be a volume manufacturer, just that these SUV/crossover thingos are getting even more popular. The writing is on the wall: sedans are out. Nobody wants them any more and car companies are making less of them. SUVs are in now. Everybody wants one and automakers can’t churn them out fast enough. The XT6 aims for the Goldilocks zone of being just right. Bigger than the more urban-oriented XT4, not as huge as the Escalade. And in that sweet spot, Caddy has packed in lots of bang for your buck. Although, this is a Cadillac, so it’s not exactly cheap. 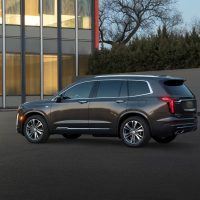 The XT6 is loaded down with enough gadgetry, comfort and convenience features, trick safety contraptions and such you will feel like you’re driving an actual Cadillac. 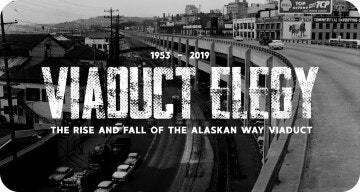 Let’s get the gearhead stuff – the important stuff – out of the way. Sure, whatever. The 2020 Cadillac XT6 still a big station wagon/truck. 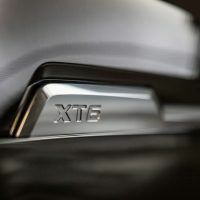 All XT6s have a 3.6L DOHC V6 under the hood that puts out 310 horsepower. Said plant is mated to a nine-speed automatic. And, since GM still has a total Jones for fuel economy, there’s Active Fuel Management along for the ride. 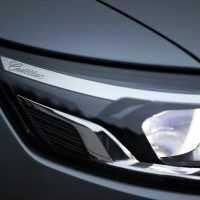 That kicks the engine into four-cylinder operation when V6 power is not needed. Slick! 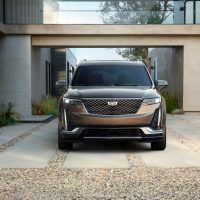 2020 Cadillac XT6 Sport. 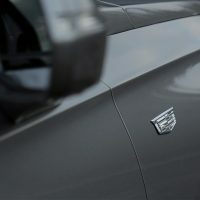 Photo: Cadillac. The standard safety technologies read like a list of stuff you might think you have to pay extra for. HD Rear Vision Camera with Remote Wash, Forward Collision Alert, Following Distance Indicator, Automatic Emergency Braking, Front Pedestrian Braking, Front and Rear Park Assist, Lane Change Alert, and Side Blind Zone Alert. All standard. 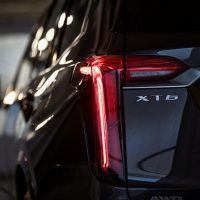 Rear Cross Traffic Alert, Lane Keep Assist, Lane Departure Warning, and the Safety Alert Seat feature; all included without even having to ask. 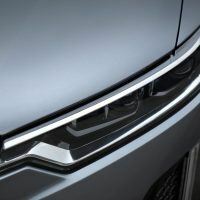 If you do ask for more, the available Enhanced Visibility and Technology Package adds an eight-inch-diagonal color display, Rear Camera Mirror, Rear Camera Mirror Washer, HD Surround Vision, Surround Vision Recorder, Automatic Parking Assist with Braking, and finally, Rear Pedestrian Alert. I love how it’s standard to worry about pedestrians in front your XT6. But if they’re behind you? Ah, that’ll cost ya extra, pal! The available Driver Assist Package adds Adaptive Cruise Control – Advanced, Automatic Seat Belt Tightening, and Enhanced Automatic Emergency Braking. Night Vision is also available. 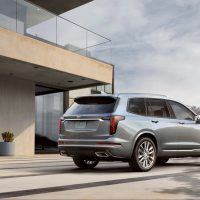 As far as connectivity goes, the 2020 Cadillac XT6 has more of that stuff than the Millennium Falcon. You can personalize the XT6 with user profiles which are stored in the Cloud. Drivers can access said custom profile in other GM vehicles with the same technology by the way. Beyond that, there’s a 4G LTE Wi-Fi hotspot, Apple CarPlay and Android Auto, NFC phone pairing, and wireless charging. USB ports? How’s ’bout six USB ports, two for each row of seats. 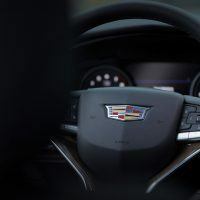 The Cadillac Connected Access program (standard for 10 years) allows access to vehicle diagnostics and dealer maintenance notifications, among other features. 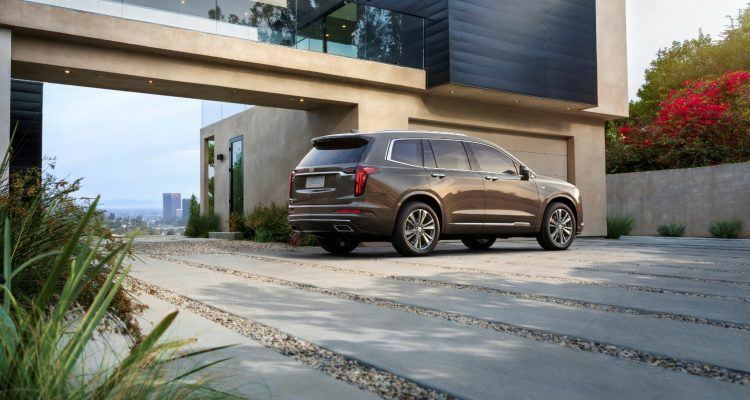 2020 Cadillac XT6 Premium Luxury. Photo: Cadillac. 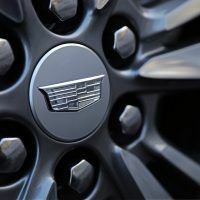 Related: An in-depth look at Cadillac’s Super Cruise system. 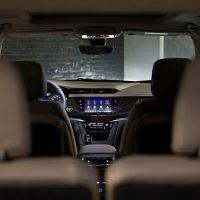 Let’s start with the tunage: Bose Performance Series sound system with 14 custom-tuned speakers. 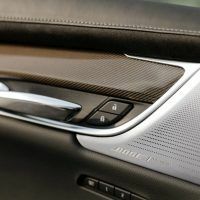 There’s a cabin air ionizer, heated steering wheel, heated and ventilated front seats; even the second-row seats are heated. The third row is a power-folding job with a remote fold-down feature for the second-row seat t’boot. Wood finishes like Black Olive Ash are available, or there’s a Carbon Fiber trim with ombré finish if you prefer. 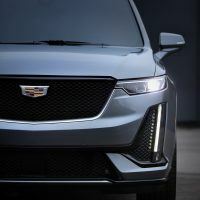 Cadillac is currently accepting orders for the XT6. 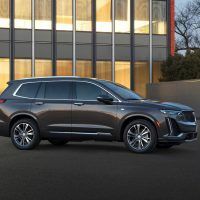 The Premium Luxury front-wheel drive model starts at $53,690, while the all-wheel drive XT6 Sport starts at $58,090. Both figures include destination and handling charges. 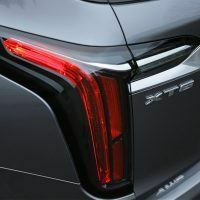 No Comments on "2020 Cadillac XT6: Enter The Goldilocks Zone"